The final minutes of tonight’s How To Get Away With Murder are likely to replay in my head over and over for the coming weeks. At long last, Annalise and Frank reunite. He comes to her in shame, in disgust, begging for forgiveness but also knowing that she has none to give. He brings a gun to his throat, insisting that he wants to fix it, that he can, at last, fix it. Annalise wants him to do it. As she’s urging him to take his own life, Bonnie slides into the frame, appearing from nowhere just in the nick of time, but watching it in the moment, there is no time to think about How To Get Away With Murder’s frequent bending of temporality and reality. And it doesn’t matter in that moment either, because the scene is so powerful in its staging and the intensity of both Viola Davis and Liza Weil. Bonnie remains a blurry presence at first, the camera sharply focused on Annalise, wide-eyed, charged, unblinking as she screams at Frank to do it, to kill himself. Bonnie pleads with Frank in a quieter but more desperate voice, sounding almost like a child as she begs him not to do it, explains to him that it’ll only wreck Annalise more. It’s one of the most intense moments I’ve seen on television in a long time. And while much of the rest of the episode does feel contrived, this doesn’t. This is visceral. This is the gut-wrenching, nail-biting thriller that this show strives to be but often falls just short of. The scene showcases some of the finest direction of the season. Overall, it’s a fantastically directed episode. First-time HTGAWM director Jet Wilkinson crafts masterful tension and drama throughout. Aside from that final scene, the sequence leading up to Wes taking the stand to testify also stands out, along with the reveal of how Annalise, Frank, Laurel, Bonnie, and Nate all worked together to frame the woman providing Charles Mahoney Jr.’s alibi (Nate, of course, not knowing that he was framing someone). The episode possesses the urgency that much of the season has been lacking, using the past for momentum in a way that works. The reappearance of the woman who cajoled Frank into putting Annalise’s life in danger all those years ago unfolds in an over-the-top fashion, complete with slow-motion and flashbacks. But it lands. There’s an overall tightness and earnestness to this episode that lets the more soapy conventions add to the story instead of take away from it. But there are still holes in the writing, still strange tangles in the emotional arcs of these characters. Wes and Laurel are all in on their relationship, which is born more out of convenience than out of genuine character development. All of their scenes together in this episode fall completely flat. They get all cozy with each other while waiting for Wes’s medical records…at the hospital where Meggy works, as if they don’t know she works there. Meggy rightfully calls Wes out, but the fact that this confrontation happens at all isn’t that believable. And it seems out of place in the episode, too. But it shouldn’t. Wes and Laurel’s emotional arc in the episode shouldn’t seem as empty and pointless as it does. “No More Blood” confronts questions of true love throughout, most discernibly through Oliver and Connor. But Wes and Laurel’s relationship isn’t saying anything interesting, and it isn’t adding to the story, either. It’s just convenient for the plot. It’s also difficult to parse out exactly what’s going on with Michaela and Asher, although there is some strong character development of Michaela in the episode. Oliver and Connor once again command one of the best subplots of the episode, their very complicated new relationship as hook-up buddies bringing the problems from their actual relationship back to the surface. Neither can agree on what love means. 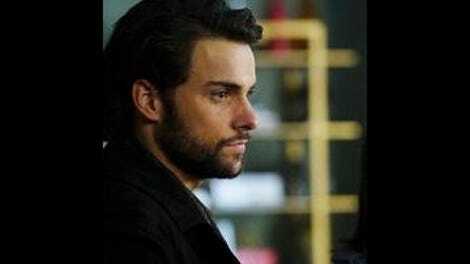 How To Get Away With Murder grapples with this concept a lot: What does love look like? Does real love exist? Does it have limits? Connor and Oliver have danced around in these murky waters all season. In some ways, they’ve become even more intimate since their breakup, revealing their flaws to each other. 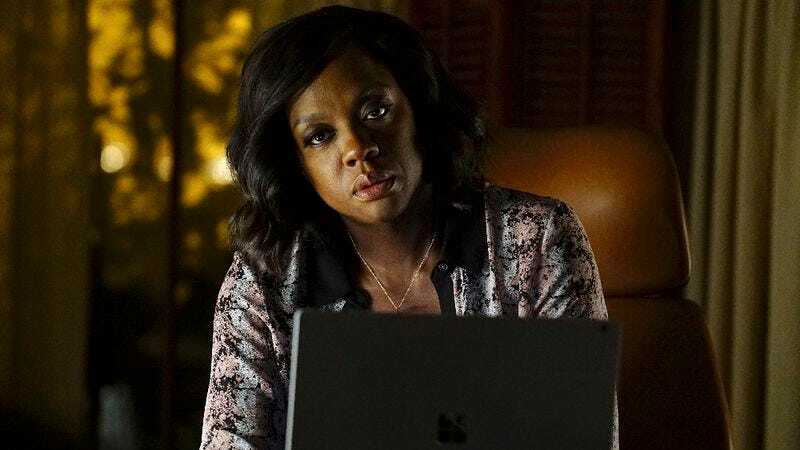 How To Get Away With Murder has a whole roster of complex relationships, but Connor and Oliver remain the most compelling. Sometimes it seems like Jack Falahee and Conrad Ricamora are acting on a different show because of the subtlety and softness they bring. Frank’s arc this season is another one of those that’s working. The more Frank gets developed, the more we learn about his past, the more it becomes clear how lost and volatile he is. Ever since he was a young man, he has lived in turmoil and confusion, coming up in the system and never really knowing how to get his life back on tracks. Everything got so much worse when he became complicit in the car crash that took away Annalise’s baby. A lot of the characters on this show act erratically, which can make their motives seem inconsistent. But Frank’s erratic behavior is grounded in clear character development. Even within this episode, he’s all over the place. He contemplates murdering a woman and her child as an “eye of an eye” repayment of justice in Annalise’s name. But when she talks him down from that, he offers his own life instead. It’s shocking, but it also genuinely feels like the show has been building to this moment all season, this final act of punishment and shame that has sent Frank down a dark path of destruction for so long now. Bonnie, Frank, and Annalise have been the emotional anchors of this season, their arcs more dark and corrosive than those of the Keating Five all season. They are three profoundly bruised and toxic people, and their struggles converge in this final showdown. It’s the kind of explosive moment the show often promises but fails to deliver. But this time, it’s every bit as suspenseful and thrilling as it should be. As a lead-in to the midseason finale, it does exactly what it should do, heightening the stakes and building on all the different story threads this season has spun. Not all of those threads are strong, but the ones that are keep their episode together. There’s so much happening in this episode, but at least there isn’t really a case of the week bogging it all down. That being said, Hargrove’s divorce lacks stakes, and that subplot is the episode’s most forgettable. Asher acts as an audience surrogate this episode, first by being dismayed that Frank no longer has a beard and then by wondering out loud if Frank is a guy we should like or not. At least Connor is alive in the flash forward, but he’s hooking up with Thomas?